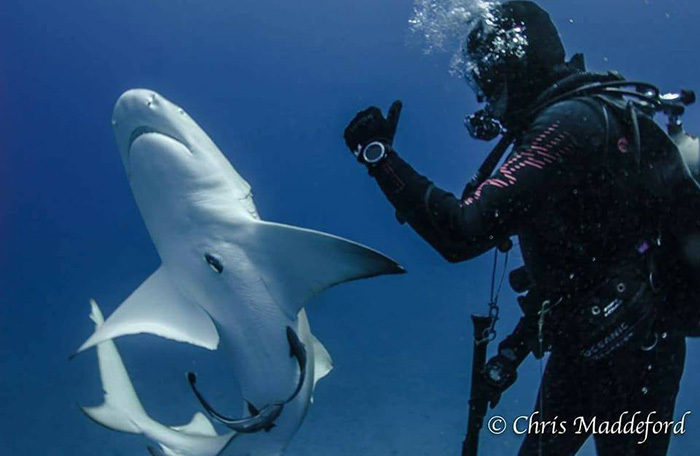 Shark asked for help, then a diver responded without hesitation. Have you ever wondered when did the scary-shark stories start? Growing up, I can still remember my mom telling me that sharks eat humans. I believe that’s when my fear about sharks, started. But I think this story below is different from all the scary-shark stories that I or even you have probably heard since you and I were still a kid. Even the scariest marine animal can feel scared and helpless too. Check out this story below. 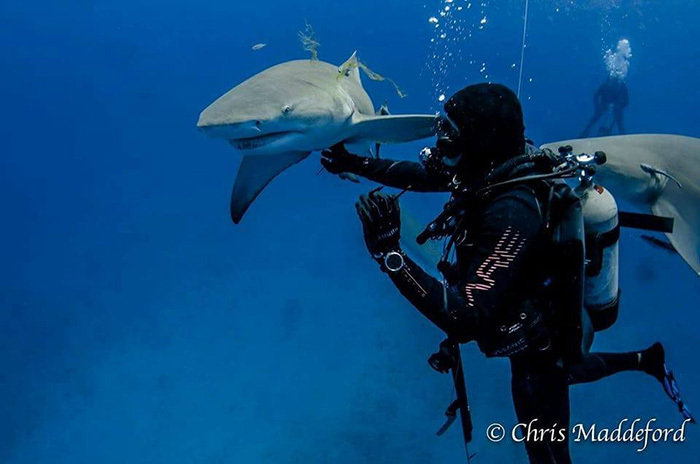 Joshua Eccles, a diver with Emerald Charter in Jupiter, Florida, was swimming in the Atlantic Ocean this week when one of the lemon sharks passing by kept bumping into him. Eccles suspected something was amiss with the creature, so he took a closer look, which the shark didn’t seem to mind. “It would lift up its stomach and I noticed something, so I kind of poked at it a little, the little hook or something,” he said. 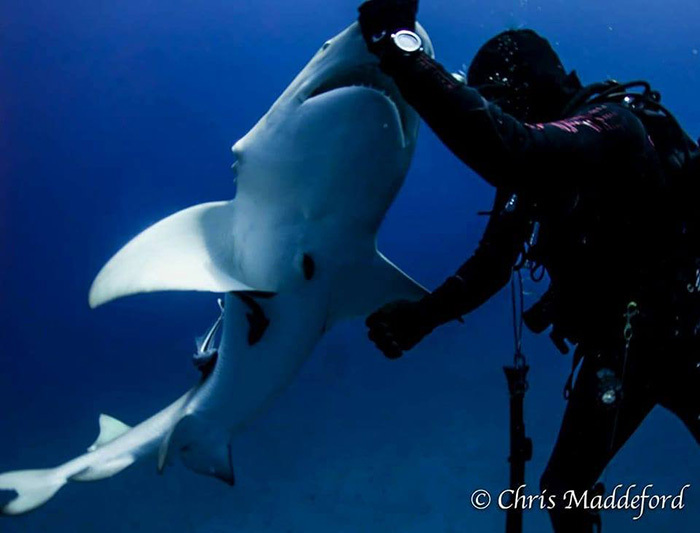 Showing no fear, Eccles decided to alleviate the shark’s discomfort and remove the hook. 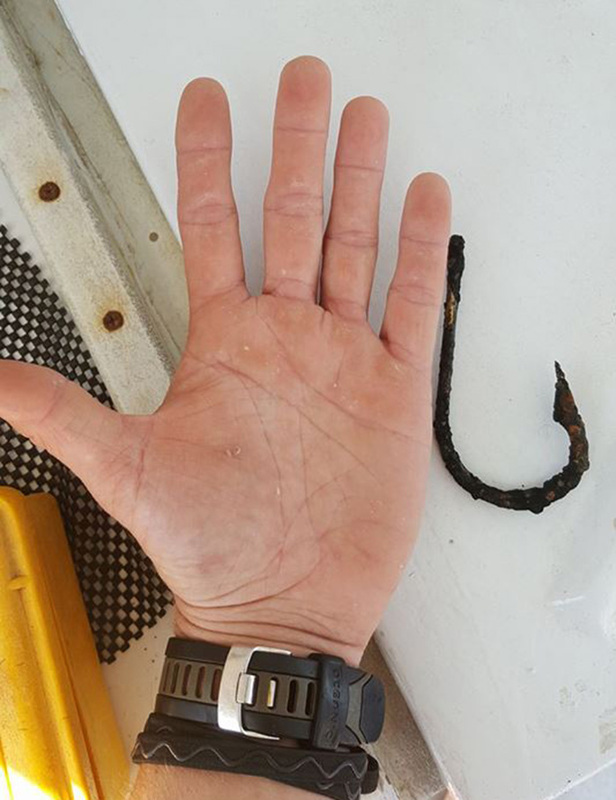 The “little” hook turned out to be the size of his hand. After Eccles removed the hook, the shark swam away, only to return several times. 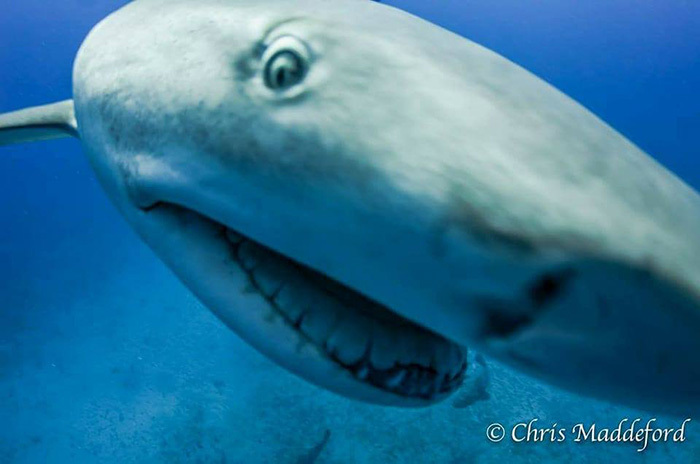 At one point, the shark swam right up to a video camera, which Eccles believes was its way of saying thank you.